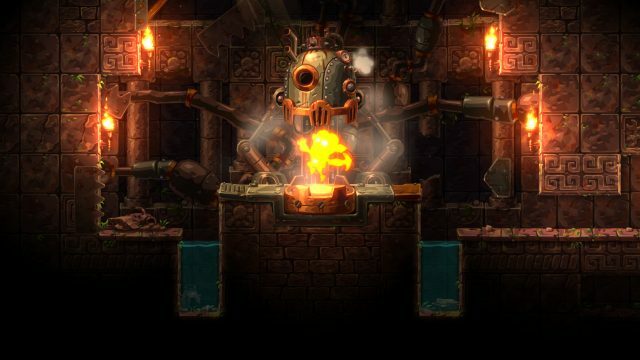 Steamworld Dig 2 Review: Buy, Wait, or Skip? The original Steamworld Dig was one of my favorite Nintendo 3DS games, even if it felt a little rough around the edges. The mine was randomly generated and went straight down, so it felt more like a roguelike mining game than anything with more substance. In fact, my only criticism about the original was the lack of puzzles and cohesion that comes from a game with a story to tell. Image & Form addresses all those complaints in Steamworld Dig 2 and the result is a truly polished game that is a joy to play from beginning to end. 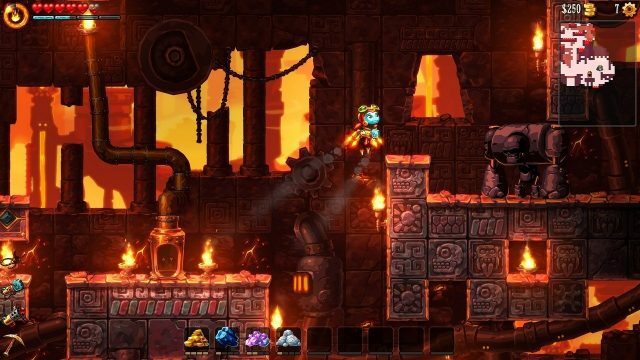 At its core, Steamworld Dig 2 is a pleasure to play thanks to a myriad of gameplay systems that work very well together. It’s an exploration puzzle-platformer that has obvious influences from games like Metroidvania, but the bite-sized dungeons that are littered around the map feel like playing 2D versions of the shrines from Breath of the Wild. Sometimes the puzzles are simple enough to figure out, while others are devious and require a good amount of backtracking once you’ve got your complete set of powers. Your character’s progression works much the same as most Metroidvania games, where you find a huge contraption and step inside to be granted a unique power. The order in which you get these upgrades naturally changes the way you traverse the levels and provides new and unique ways to deal with enemies. The hookshot becomes an indispensable tool for getting around, but it can also be used to turn those pesky cultists to avoid their flaming spears. The various dungeons hidden throughout the mines provide a good excuse to go spelunking and to pay attention to your surroundings, since each dungeon has hidden artifacts and epic gems worth lots of moola for you to find. I finished the game in around 10 hours and despite every effort I made to be a secret sleuth I still finished with only 75% of the secrets found. There are lots of clever ways the devs have hidden these items for you to find. Finding all 42 artifacts will prove a challenge but you’ll be granted a special blueprint for your various weapons and armor, so the reward is definitely worth the frustration. The upgrade cog system is also pretty novel because it doesn’t lock you into certain upgrades once you’ve chosen them. Instead, you can swap out cogs or even buy more from a hawker at El Machino to create the character that your heart desires. The soundtrack for Steamworld Dig 2 is absolutely excellent. Image & Form managed to contract El Huervo, who did the soundtrack for Hotline Miami and it really shows. The main theme is so stellar that I find myself humming it even while not playing the game. At a price of $19.99, I think Steamworld Dig 2 is definitely a Buy Now title. I spent around 10 hours in the game finding all the secrets and exploring all the dungeons before the credits rolled and yet I still find myself wanting to boot up the game to see if I can find some of those elusive artifacts. 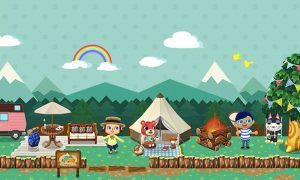 If you’re the type of gamer who really enjoyed the puzzle aspects of the shrines in Breath of the Wild and you’re okay with 2D platformers, then this game will be right up your alley. The platforming mechanics feel excellent and each subsequent upgrade you find in the world feels like an accomplishment, especially since there are so many blueprints available that you can tailor your experience with. 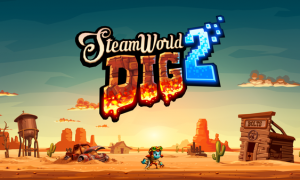 While the game is available on multiple platforms, the to-go nature of the Switch makes Steamworld Dig 2 at home here. If you want to play this game and you own multiple platforms, do yourself a favor and get the Switch version.